Why Project-Finance with Capital Banking Solutions? 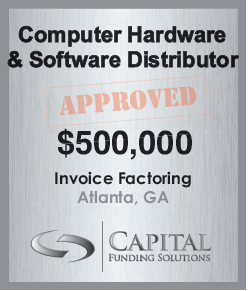 Capital Funding Solutions (CFS), a related company to Capital Banking Solutions (CBS), has developed close working relationships with groups of professionals, including specialists in finance, commercial risks insurance and re-insurance, international accounting and law firms in order to bring a robust, solutions-driven portfolio of choices for those seeking Project-Finance Funding. Through our coveted alliances, we can deliver capital for every stage of your company’s funding needs, from start-up to expansion and every conceivable alternative structure in-between. If you need an evaluation of your project funding needs, it is likely we have a project finance solution that meets your criteria. After consultation, we will supply you with the necessary documentation to get your project funded. You may also call us so we can walk through the steps and describe the process. Our strategic-alliance funding partners are deeply rooted in project finance and our offerings allow us to cast a wide net of funding possibilities. Please read more about our alliance partners. Tel: 954-525-1311 | Fax: 954-525-1366 | Email Us! Note: All clients require strict non-disclosure applications (NDA’s) pre-application. Our Wall Street connection has over a 100-year history as a Broker Dealer/Designated Market Maker (“DMM”) on the floor of the New York Stock Exchange (“NYSE”). Areas of expertise include an Investment Bank focusing on emerging growth opportunities in the United States, Latin America, Europe and Asia. The firm focuses on funding opportunities in the one to 50 million-dollar range. The represented segments include New York Real-estate, early-to mid-stage Life Sciences/Med Tech, Entertainment, Technology and Natural Resources. Our boutique investment affiliate is a privately-held, corporate-banking firm dedicated to providing corporate finance, trade finance, cash management, human capital resources, insurance, and consulting options. The firm also serves as a corporate holding company that manages the group’s interest over its 14 subsidiaries and affiliates, including Capital Funding Solutions and Capital Banking Solutions, with funding capabilities ranging from five to 300 million dollars. Our affiliate provides monetization funding as part of a senior-secured funding group in a highly specialized area of corporate finance. A longstanding relationship with institutional investors, predominately life insurance companies and pensions, provides vast resources of capital to structure and fund transactions that other investment banks, including the big names on Wall Street, typically don’t entertain. This unique funding structure doesn’t require the traditional equity components and loan covenants which can cause unnecessary delays that kill transactions. The company along with their in-house counsel has closed well over 100 deals well in excess of 3.6 billion dollars. The product is a unique financing vehicle of institutional size transactions where there are required minimum payment obligations due over time from a customer. Any recipient of such an obligation has the ability to monetize these future payment streams at institutional rates. As a FINRA member, our affiliate provides loans utilizing a regulated and patent protected Capital Market Solution against a company’s future revenue streams.This is achieved through a trademarked and turnkey alternate market system known as a Royalty-based Funding Model. Instead of selling off equity, a company can borrow funds in a very unique way against current revenue. A structured repayment can be made in a variety of ways to suit both the borrower and the investor/lender. The borrower can make repayments that are equal to a percentage of the company’s revenue stream. The end result is that during your company’s early years, when revenue is lower and cash flows are typically lower, so is your repayment amount. As cash-flow increases and revenues rise, so does your repayment amount. If there is a downturn in revenues, the payment obligation declines as well, offering relief to the company when it is most needed. CBS maintains close relationships with several funders in all areas of commercial real estate both domestically and internationally. Because each possibility has many variables, it is best to speak to a funding specialist at CBS for a consultation. Geographies generally include the United States and most developed countries with stable governments and currencies. This alliance provides funding through numerous fam­ily offices, pri­vate foun­da­tions, and com­mer­cial insti­tu­tions for green-related projects or projects that offer mea­sur­able social and/or envi­ron­men­tal impact in addi­tion to prof­it. As a government approved designated Community Development Financial Institution (CDFI), clients are provided the important interface with EB-5 Regional Centers, protocols and funding compliance. Services include handling the business, financial engineering, structuring and organization of all the documents required for EB-5 compliance in preparation for placement offerings.